The Road to Safety Strategy involves the creation of the RTMC that will be responsible for vehicle registration, traffic information systems, public communication and traffic law enforcement. guide and sustain the expansion of private-sector investment in road-traffic management. 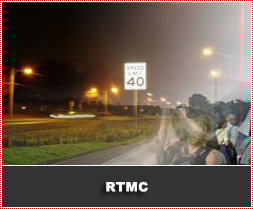 A special section has been created on the arrive alive web site for the RTMC. Amongst others, the RTMC is responsible for enhancing awareness of road safety in South Africa and in ensuring that effective traffic enforcement is achieved. Click here for more information on the Road Traffic Management Corporation.